Recently WhatsApp released out a new feature i.e. 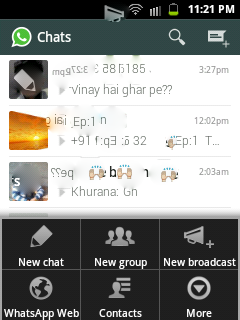 WhatsApp on Desktop/Laptop. This feature is quite easy to use on your desktop and there is no need to download any kind of WhatsApp set up/software or application on pc whatsoever. Go to Menu and then come to WhatsApp Web. Now you have to scan the QR code just like taking a picture and scanner will automatically scan the code in matter of seconds. Now your desktop WhatsApp will be visible to you. Phone Notification : These notifications are by default on for Desktop WhatsApp. It means whenever you will be using WhatsApp on mobile and desktop, both devices will be synchronised till your mobile connectivity is ON. Desktop Notification : You can also enable desktop notification by just click on "allow". 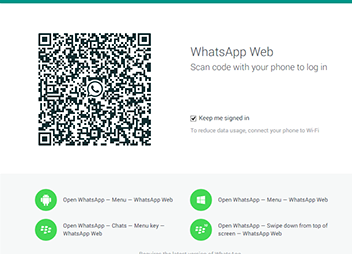 Now you are totally ready to use WhatsApp on desktop or laptop.Hopefully you will be very clear about this topic.